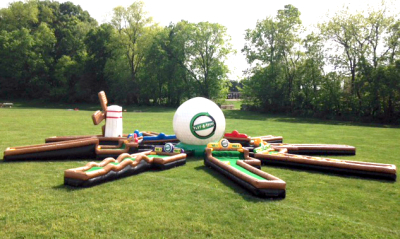 We've taken the great American pastime and turned it into a simple but irresistible game! 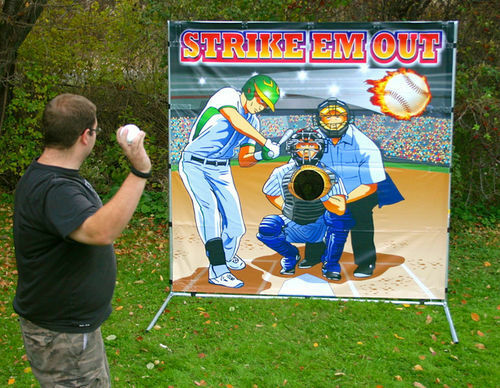 Nobody can walk by the Baseball Toss game without giving it a shot. Throw the baseball into the catcher’s mitt to strike out the hitter. 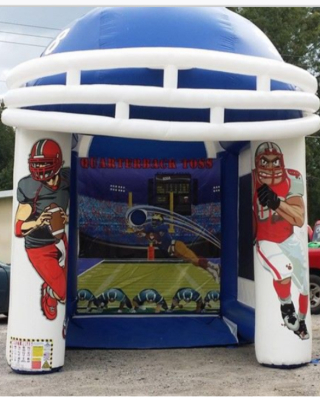 This perfect for your sporting event, birthday party, carnival, backyard party, and more. Yippee and Yeee-haw! Longhorn Lasso is a blast! 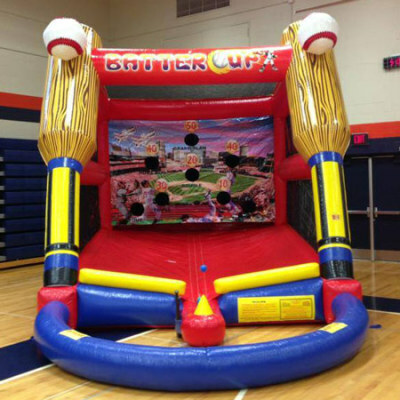 All ages will have a rip-roarin' time trying to lasso the bull's head! This game is New 2017 comes with an authentic real western lasso and rope rings for the younger children. 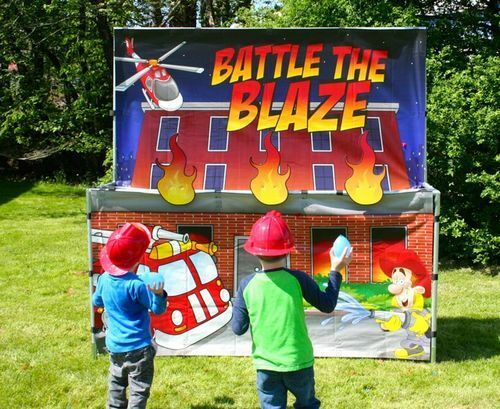 The brave firefighter will battle the blaze by knocking over the flames on this burning building with bean bags, water balloons or water squirt guns. 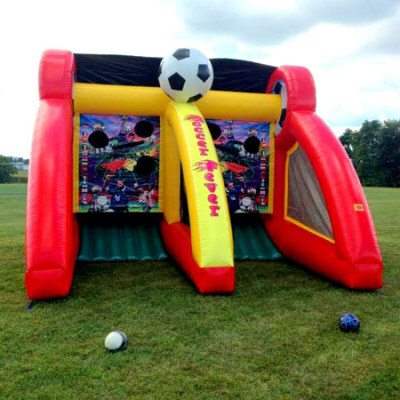 Add this Battle the Blaze to your Township Days, National Night Outs, Community Events or School Carnival, Backyard party, and more. and just as much fun for adults. 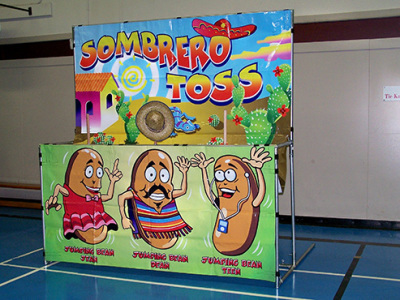 Grab your Amigos and toss the sombreros onto one of the 3 jumping beans characters below. Cowabunga, dude! 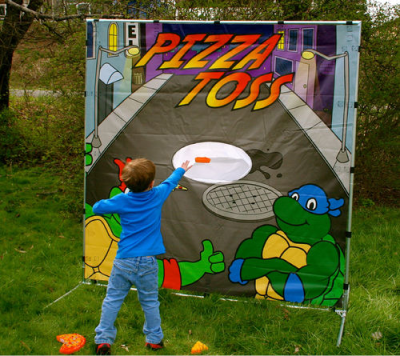 Our Pizza Toss Game is the perfect addition to any event. Kids of all ages gobble it up! Players try to toss the plastic pieces of pizza into the hole. The first to get all of the pieces in wins! It's totally gnarly! Lets the player test his or her skill by catapulting insects into Froggy's mouth. The Insect Flinging Fly game is great for kids and adults will love. Catapult the insects into the frog’s mouth. 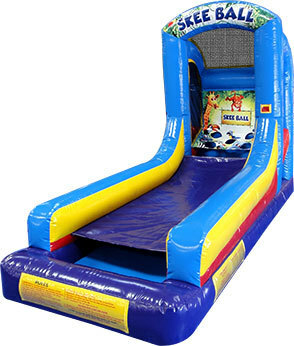 Rent this for your birthday party, field day, carnival, backyard party and more.